Home - Enneagram Resources Inc.
Inspiring people to activate their spirituality, to discover healing, and to become fully human, fully alive. The Enneagram is a system of nine personality types that reveals human motivation. The Enneagram unveils patterns of thinking, feeling and behaving with remarkable accuracy. With knowledge of Enneagram type, people understand each other and can become more compassionate and effective in relationships. How can Enneagram Resources Inc. help you? It’s surprisingly fun to learn because things that used to be mysteries about yourself and others become obvious and clear. Insight leads to new possibilities. At ERI, we share materials and offer seminars and training opportunities to teach the Enneagram. 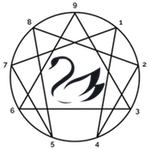 The Enneagram describes and explains the natural resources of human nature — what some call soul and others call “true self” or “real self.” A nine-pointed star in a circle, the Enneagram is a symbol of the potential of the human person, and it offers a gateway into the world of humanity’s possibilities. The Enneagram is about positive change. Positive change happens when common sense, wisdom, and love are applied to the needs of people, families, communities, and institutions. For over 60 years combined, Kathy Hurley and Todd Kemp have been dedicated to renewing the human spirit in practical ways. We place the Enneagram in a context which quiets the mind, allowing for positive change. Participants discover how compulsions can slowly dissolve so people can experience true freedom. Copyright © 2018 Enneagram Resources, Inc. All rights reserved.